With our exclusive Stay at One, Play at Three Exchange Program, your dining options expand to 27 restaurants. You can extend your diving experiences to exotic underwater playgrounds at two additional resorts. Enjoy the vibrant entertainment that's ever‑changing from night to night at all three resorts. Complimentary round‑trip transfers between all resorts are part of the Sandals Luxury Included® difference. 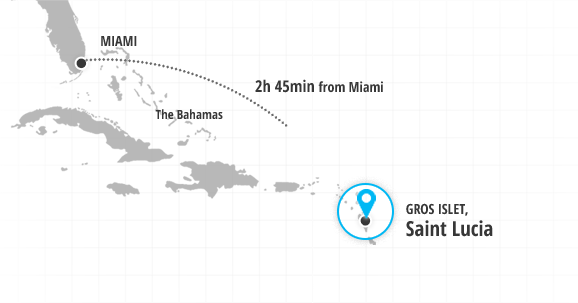 Our resorts are near each other, so you can experience it all! 27 Restaurants all included. all unlimited. From Paris to Tokyo, Milan to the Pitons, your gourmand soul will revel in the succulence of classic, contemporary, and creative dishes served up in all three Sandals Resorts on Saint Lucia. You'll be an honored guest at any of 27 restaurants, each with its own unique ambience and setting. Play at two golf courses in Saint Lucia, Sandals Regency La Toc Golf Club and Sandals Saint Lucia Golf and Country Club at Cap Estate. Complimentary green fees and round‑trip transfers are included for Sandals guests. Caddies are required, but not included. It's Showtime! 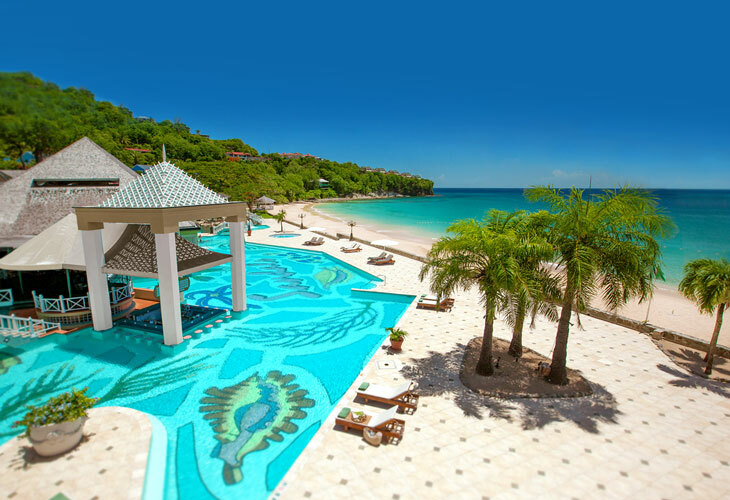 Prepare to be mesmerized and duly impressed by the many entertainment productions at the three Sandals Resorts on Saint Lucia. From fire dancers to the island's most talented Reggae groups, bonfire dances on the beach and poolside and pool table competitions, something exciting is always happening. The spotlight might even be turned on you if you're up for sharing your talents with the world. Every water sport imaginable is included along with top‑of‑the‑line equipment and professional instruction. While other all‑inclusive resorts claim to include all water sports, only Sandals includes a full range of motorized and non-motorized water sports. Saint Lucia is all about the water, and Sandals is all about making sure you indulge in as many water experiences as your heart desires. Pool hopping, dive‑site hopping, sailboat hopping‑it's all encouraged as you experience the diverse offerings at all three resorts. A kaleidoscope of marine life and new friends to meet at every pool await discovery. 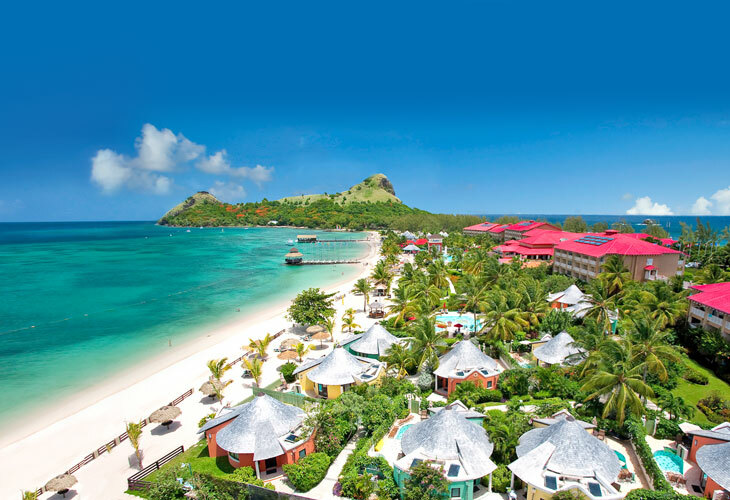 From the distinctive twin peaks of Les Pitons to the cascading majesty of Diamond Falls and the translucent turquoise sea that frames it all, St. Lucia dazzles the eye as it seduces the body and spirit. 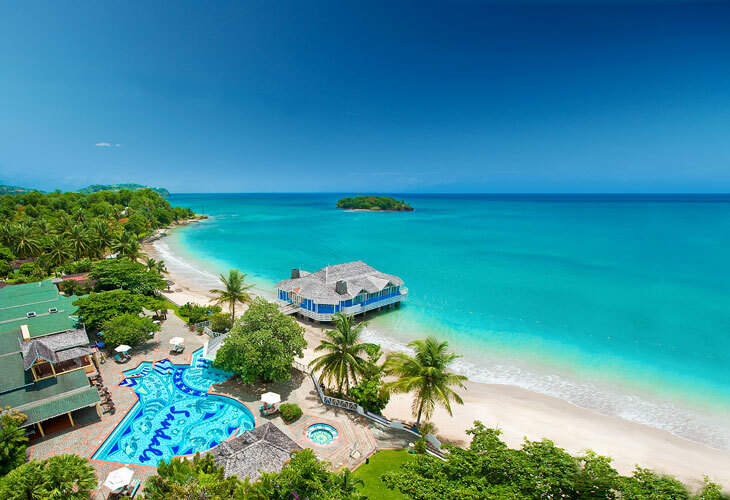 Experience a vacation full of natural splendor and romantic vistas when you travel to a Sandals St. Lucia all‑inclusive couples‑only resorts.